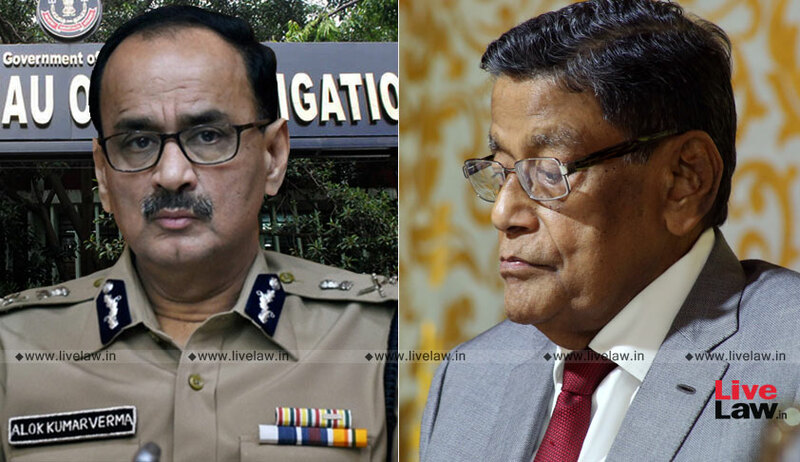 Attorney General K. K. Venugopal on Wednesday countered each of the grounds raised by the petitioners in challenging the propriety of the October 23 order of the Central government sending CBI Director Alok Kumar Verma on leave. It has been the case of the petitioners, being Verma and NGO Common Cause, that in passing the impugned order, the government of India was only influenced by an identical order of the CVC and that it was not an independent decision; that a transfer of the CBI Director could not have been validly effected without the previous consent of the Selection Committee as per section 4B of the DSPE Act; and that the power of superintendence of the Central government under section 4(2) of the DSPE Act could not authorise the direction to divest the CBI Director of his powers and functions. Dealing with the question as to whether the decision of the Central government was without any application of an independent mind and merely piggybacking the CVC order of the same date, the AG drew the attention of the bench headed by Chief Justice Ranjan Gogoi to the impugned order of the Union of India. He sought to drive in that the government was and is concerned and conscious that nothing should be allowed to erode the faith of the nation and that of the stakeholders in the investigations conducted by the CBI. Further, the dispute between the Director and the Special Director had become a subject of critical and negative public debate, pulling down the reputation of the institution itself, as a result of which public confidence in the independent investigating agency was being eroded. The government had noted that the CVC has undertaken an inquiry into the allegations and counter-allegations, which must be ensured to be neutral and uninfluenced. Having carefully evaluated and closely examined the materials available to the government, and the order of the CVC and after a consideration of the issues that have arisen and which may arise in the course of inquiry and the possibility of the proceedings to be initiated at the behest of the Central government, the government was satisfied that an “extraordinary and unprecedented situation” has arisen, warranting the exercise of its powers of superintendence under section 4(2) of the DSPE. He relied on the 2001 apex court judgment in V. Jagannadha Rao v. State of AP to suggest that a ‘transfer’ must be from one place to another and cannot be in respect of the same post at the same place. Consequently, the need for the previous consent under section 4B does not arise. He reiterated that the Selection Committee under Section 4A of the DSPE does not appoint the Director but makes a recommendation to the Cabinet Committee on Appointments, which is the Central government. It is the government which makes a choice from the panel of two-three candidates so recommended and affects the final appointment. He argued that the power to appoint includes the power to suspend or dismiss under section 16 of the General Clauses Act. “As to the future of the candidate, the powers rest with the appointing authority. The exception is made by Vineet Narain in view of the minimum 2 years’ tenure, making any transfer subject to the approval of the selection committee. But that is only for a limited purpose and for other purposes, the appointing authority is self sufficient”, assured the AG. Indicating State of Bihar v. J. A. C. Saldanha (1979), he juxtaposed the power of superintendence of the Central government over the CBI, as under section 4(2) of the DSPE, with the scope and ambit of the power conferred by section 3 of the Police Act, 1861 on the State Government for superintendence over the entire police force of the State. “In Saldanha’s case, the Supreme Court has observed that ‘the power of superintendence would comprehend the authority to give directions to perform the duty in a certain manner, to refrain from performing one of the other duty (as in Verma’s case, the AG supplied), to direct some one else to perform the duty (as the Central government acted in vesting interim charge of the CBI to Mr. M. Nageshwar Rao, he added) and no inhibition or limitation can be read in this power unless the section conferring such power prescribes one’...”. “So far as the Centre is concerned, it acted within jurisdiction. In fact, instead of taking an action in July itself, it was only in October that it intervened. And if it had not done so, God knows where this fight would have ended. It was Absolutely essential and incumbent for the government to step in”, insisted the AG. Justice Joseph quizzed Mr. Venugopal on the jurisdictions of the CVC and the government in view of sub-section (1) of the said section 4 according to the former the power of superintendence over the CBI in respect of investigations of offences under the Prevention of Corruption Act. “Please look at the order (of the Central government) as a whole. The government was compelled to interfere on October 23, after almost four months had passed since July...it was watching in amazement as to what the topmost Officers of the topmost agency were doing. It also affected the government of India! There were a large number of allegations, some of which could come under 4(1) and most under 4(2). The government’s real worry was that what was happening, the CBI being ridiculed and that it had to be prevented. We were applying our mind to only the consolidation of allegations and the impact of their disclosure in public domain. Your Lordships are dissecting this aspect- that this is under 4(1), this is under 4(2)...the government was looking at it in totality, with the sole objective to protect the institution against disgrace...”, the AG concluded.